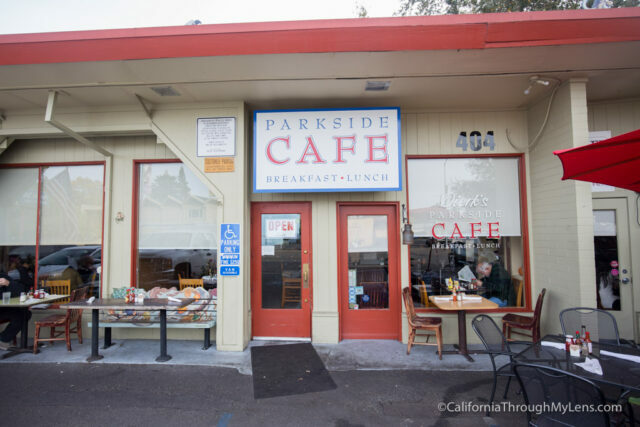 If you ask the locals where the best food in Santa Rosa is for brunch, you will no doubt here Dierk’s Parkside Cafe rank among the top. 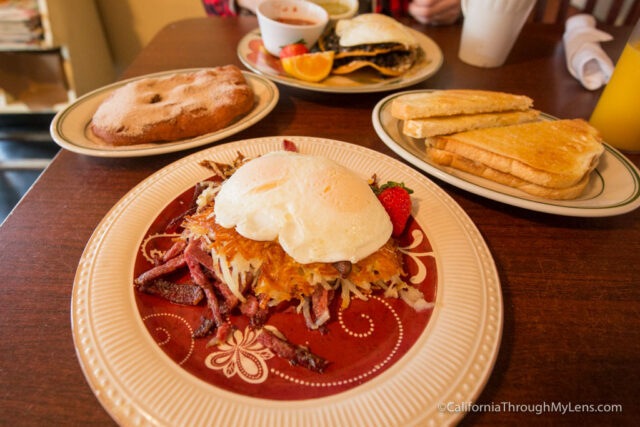 This much-loved diner is hard to beat as it takes the traditional diner options and gives them a much-needed upgrade, duck confit hash anyone? I went on my way out of town and was pleasantly surprised by the service, food, and atmosphere. Check out on the information below. 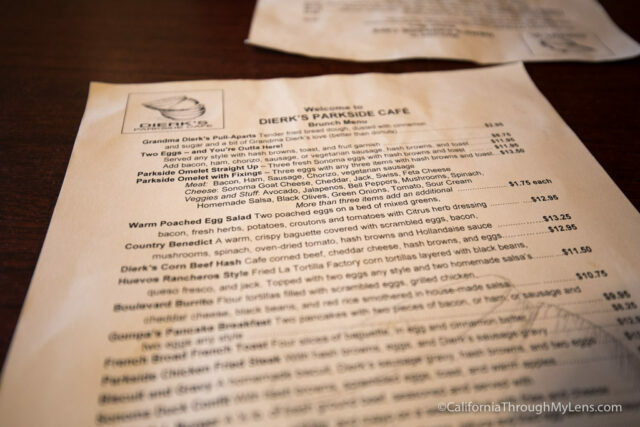 Dierk’s Parkside Cafe is located on Santa Rosa Ave, close to Julliard Park. It is in a small business area with a few other shops next to it. There are a couple of parking spots in front or you can park along the street. The restaurant looks just like a typical diner from the outside, and it is one of those places that you might pass right by if you didn’t know how good it was. The inside features three rooms and a small bar, and it will usually have at least a few locals enjoying the food while you are there. After sitting down with the menu, we asked for recommendations from the waitress and here is what we ordered. You must get this; it is perfection. I would describe it as a mix between a churro, donut, and a funnel cake. 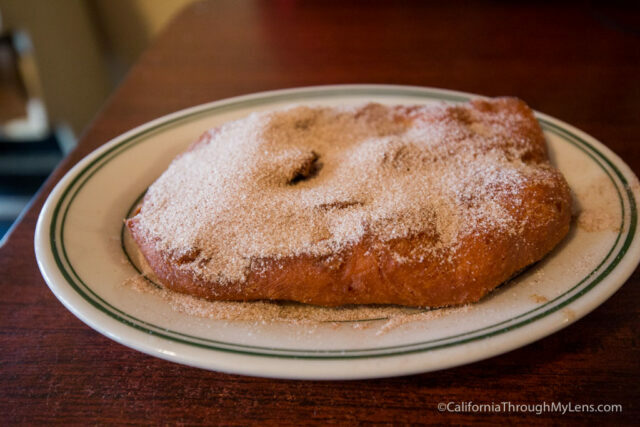 It is covered in sugar and practically melts in your mouth, don’t leave without trying it. 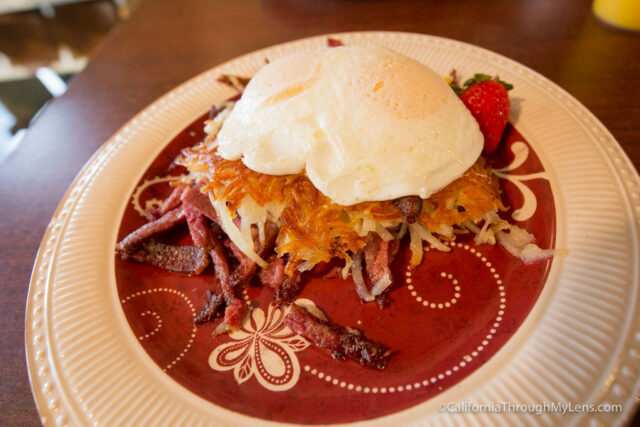 As their most popular dish, the Corn Beef Hash comes with a generous portion of corn beef on the bottom, and a layer of hash browns, cheese and two eggs on top. It’s pretty heavy, but it has a great flavor. I was impressed with how much meat they gave you on a dish like this. 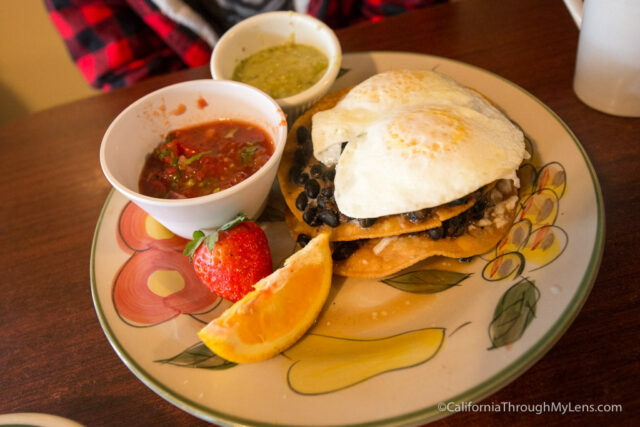 Two layers of crunchy tortillas with beans and eggs cooked to your liking on top. It comes with two different salsa to try, and each has a unique flavor without being too spicy. It’s a more fresh take on the traditional dish instead of being rich and heavy. 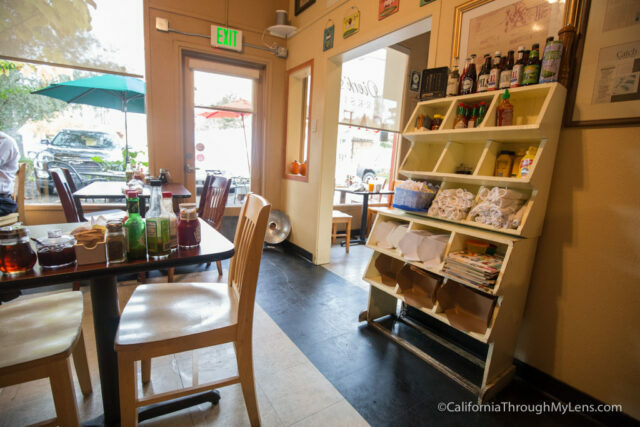 If you are looking for an excellent and well-priced meal in Santa Rosa, then be sure to give Dierk’s a try. Even if you only stop for the pull apart, it is still worthy of your time. Let me know what you think in the comments.